For parties of 5-8 please call the restaurant directly. For parties larger than 8 please email us at events@husknashville.com. Thank you. Husk is located in Rutledge Hill—just a few blocks south of Historic Broadway, in the heart of Downtown Nashville—is the second outpost of the Neighborhood Dining Group and James Beard Award-winning Chef Sean Brock’s renowned restaurant, Husk. Led by Brock and Chef de Cuisine Brian Baxter, the kitchen reinterprets the bounty of the surrounding area, exploring an ingredient-driven cuisine that begins in the rediscovery of heirloom products and redefines what it means to cook and eat in Nashville. The waiter was aloof and then glib in his response to our need for gluten-free options. The food was not good. do not bother with this place! Average food at best. 2 out of 3 entrees not cooked properly. Slow to arrive. Not even close to being worth the money. Fantastic restaurant. Food was delicious. Server was excellent. Would go back again the next time I in Nashville. Really wonderful experience- the food was amazing and our waitress was unbelievable. Told her we were on a cross-country road trip and she went out to her car to get us a book about where to eat across America. Lovely! Our favorite restaurant for sure. Fabulous lunch at Husk! Service was outstanding. Don't skip cocktails or dessert!!! Service it top notch, so knowledgeable and passionate. 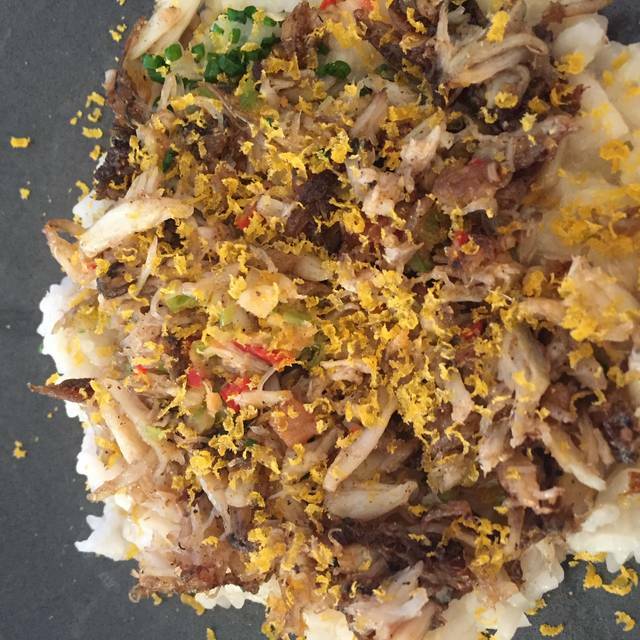 Everything we ate was so well described we knew exactly what to expect. It's a great restaurant for people you are comfortable sharing food with, you will want to taste everything! We went for our ten year Anniversary and was very disappointed. The food had too many favors going on and it did not work. We got the shrimp and grits and I could not finish them. It was not a southern shrimp and grits! Not even a twist on a southern favorite. We also had a pork steak which was just a pork tenderloin and tasted like something I cook at home and a little over dry. Not impressed at all. We were looking forward to a great meal and we both left hungry. We had been there a few years ago and loved it but we will definitely not go back again. Beautiful restaurant with lots of light; modern features yet classically rustic and comfy. Great food and service. Really nice selection of brunch choices. We each ordered a different starter then shared; perfect way to sample a bit of the pimento cheese, monkey bread and starter platter. All were great. The Eggs Benedict with fried bologna was especially good. Will try the shrimp and grits next time. We came to Nashville for a girls trip, and to celebrate a birthday. Husk was a must do, and it absolutely did not disappoint. The service was amazing, and the food was even better. I'd recommend it to anyone I know! The service and food were phenomenal. If you're gluten-free or paleo, you may have trouble here. The menu states "no substitutions," so the food is only served exactly as advertised. While frustrating for those following a certain diet, this note clearly indicates the chef is a professional who doesn't want to compromise taste. The restaurant itself is in a cool old home, and the ambiance was perfect. Highly recommend! The food was delicious and the atmosphere was amazing. Would definitely come back! Beautiful historic building , unique drinks, scrumptious rolls. Unbelievable first course choices. Best shrimp and grits this northerner has ever had! Pimental cheese that everyone loved ( even those who didn't think they would like it). A delightful place to share a meal . Grilled catfish was awesome, ad was the chocolate beet cake. From the minute we entered until we were given a private tour of the garden by our server on our way out, the experience was first class! Every aspect was amazing! Especially memorable was our server, Steven, who acted more as a host and was so hospitable!! Unbelievable service and great food!! We spent 2 hours and never were made to feel rushed. It was a perfect evening! Had a great dinner, very attentive and informative staff who made some great recommendations. Food was amazing, a must for anyone visiting/living in Nashville. Only opportunity was with noise level, there was a group sitting on the opposite side of the dinning room that was loud to the point that it made my eardrums hurt. Could be that the room was kind of small and amplified the noise, not sure if others had experienced similar situations. Overall I can't wait to come back to Nashville and eat at Husk again. The server did a good job explaining the dishes to us which is a good idea because we did not know for instance that the pork prime rib was very fatty. There were also some interesting details such as serving the cornbread with spring onions and pickled cucumbers as a palate cleanser. But a lot of the plates were too salty. The cornbread was so overbaked and dry that the server was kind enough to remove it from our bill. Server spent her time trying to upsell to the highest price items and did not ask about the food. Left 3/4 of my salad because I found a hair in it. She never asked as she cleared the plate. The steak offered to share between 2 was $76 but due to the amount of fat we were only able to eat 50% of it. The house is a fabulous restaurant venue. The service was as good as the food. Our waiter was very knowledgeable and friendly. My butter beans reminded me of my grandmother's, only brighter, and the pork melted in my mouth. Great cocktails too. 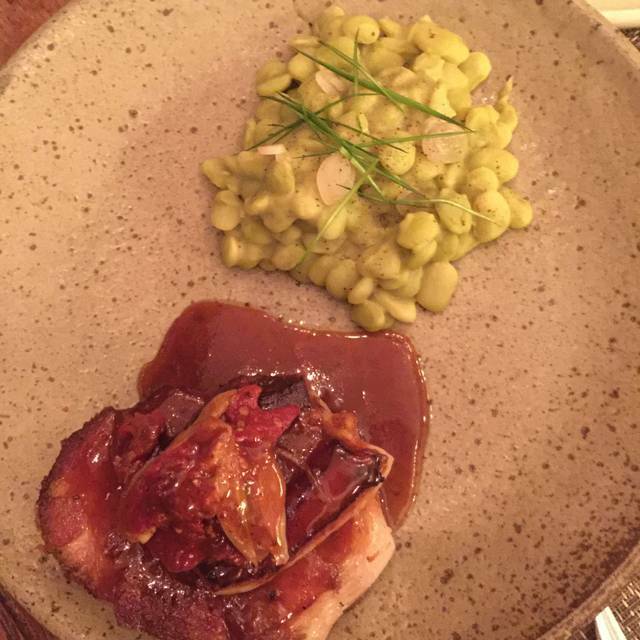 We eat at a lot of restaurants around town, and Husk definitely lived up to the hype. Husk Nashville was superb. I love Husk Charleston and I was afraid it would not be as good. It was excellent with different food and drink options but all still good. Waitstaff was very knowledgeable and friendly. Great dinner! Really looked forward to this dinner and was very disappointed when the swordfish was delivered quite overdone. The Bibb salad was great as was the pork prime rib. I would give it another try. We had reservations for my wife's birthday at Husk for 1 PM. We arrived and were told we had to wait - this ended up being 15 minutes. The parking lots were all full, so we figured the place was packed. Instead, as we were ushered from the warm, restored entry area downstairs into a space that looked like a 'farmhouse' bistro crossed with a late 90s New York City lounge (clubby metal and crystal modern chandeliers, purple and chrome wall stripes), we found out that we were one of five tables being served. After waiting an additional 15 minutes, we were finally given the opportunity to order our drinks, and shortly after, our food. Our food arrived first. The food itself was fine for the price - approximately $15 per plate, but there were no vegetables on either entree. The fried chicken was satisfyingly crispy and the hot sauce was indeed hot. However, the country-fried steak lacked a recognizable crust. The waiter gave us a free dessert to make up for the wait on the drinks - so good service on his part. The brown-butter soft-serve ice cream was fantastic. If this had been a neighborhood bistro, without the need for reservations or the reputation of Husk, we'd probably have been pretty happy with our meal at that price point. We might go back, but we probably won't. Thus the two stars. Lovely restaurant - cozy. We came for brunch. Food was DELICIOUS. light and flavorful at the same time. Would definitely come again. I was in Nashville for a long weekend with friends and we wanted to make the most of our time. We came here for brunch on Saturday and it managed to exceed my high expectations. We all ordered differently to maximize exposure to their offerings and we still had difficulty choosing. Every bite was delicious. The building is beautiful, the service was fantastic. Husk deserves its place on every "best" list. I look forward to returning. I was concerned when we saw the menu because nothing was jumping out at me, but everything we ate was delicious. Our server was very knowledgeable. The place is nice and upscale but not stuck up or stuffy. We were so disappointed in Husk Nashville. Shaun Brock needs to visit this restaurant and very soon! After having dined at Husk Charleston, we could not wait to enjoy dinner here. The building is gorgeous which was one of the few pluses. There were very few people in the restaurant. Our charcuterie and appetizers came at once even though we specified that we wanted the charcuterie first. The charcuterie was delicious but my salad was limp and the strawberries almost opaque which means they were laying around for a while. The oysters were just okay and the appetizer our other friend had was just okay as well. Of course our dinner came in a flash after the servers lurked about waiting to take our plates. The dinner was just passable and nothing near amazing. I must say the desert was good but we were starving from not finishing our other courses. Husk Charleston is one of the best restaurants in the South. It is sad that this one is so bad! I hope someone resolves the problems here as not only was the food passable but the servers unfriendly. Very sad! We won't go back and we won't recommend it to anyone! The food was amazing! Local food options. Specialized daily food menu. Great service. Comfortable, classy environment. Great prices for what you get! One of the best lunches I've ever had! Thank you! 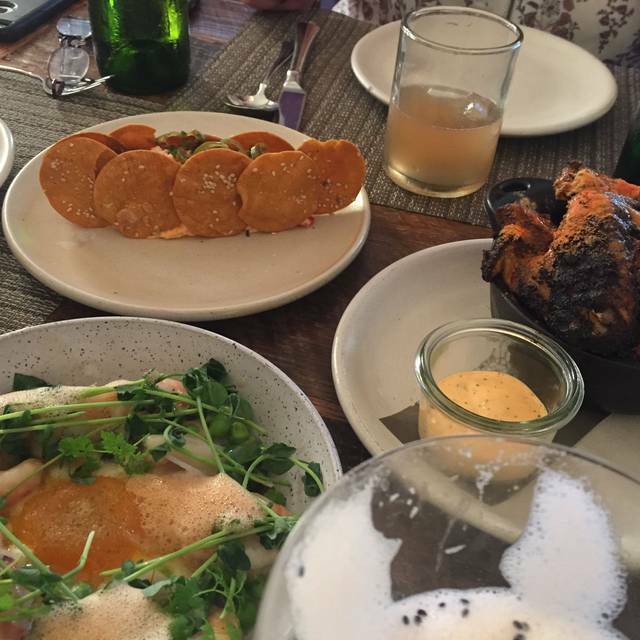 We absolutely loved our experience with at Husk. From the atmosphere, to the stellar service, and the quality of their food. We definitely be returning on our next trip back to Nashville! The service was first class. The building appears to be an old house that has been repurposed. Large covered front porch to sit and wait if you're early like we were. They grow a lot of their herbs out back. Very quaint location. The old barn out back has been beautifully converted for large parties. It was all set up and the group hadn't arrived yet so we were able to take a peak. Food was excellent; we all ordered something different and everyone enjoyed their meal. Will definitely go back when I return to Nashville. 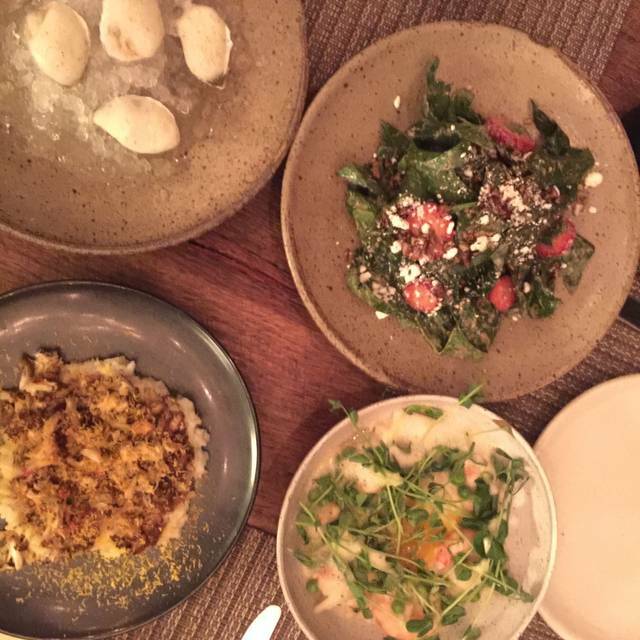 This was my second dining experience at Husk, and my first time for dinner. I went in with extremely high expectations, given my previous experience for brunch and what I have read about the founding chef Sean Brock, and was not disappointed in the slightest. My only disappointment was that eventually I became full and could not continue to indulge in bite after bite of this incredibly flavorful and authentic down-home food. I will try to eat at Husk every time I am in Nashville from now on and I hope to check out the original in Charleston, SC some day, too. Our favorite restaurant in the world (and we've been to a few!). Always such a special experience to dine at Husk. Thank you for a beautiful meal! Beautiful restaurant, wonderful service and delicious food! We had lunch, which was good--fried chicken, fried catfish with nice sides. The coffee cake had good flavor but was dry, with insufficient ice cream to salvage it. Very loud music (which seems to be more the norm in Nashville, than other places). Very nice historic building. Excellent waiter service. Interesting menu, great service, but the music for a daytime lunch was way too loud. We asked that it be turned down so that we didn't have to yell across the table. Superb! Dinner was perfect. Cocktail menu was really unique.